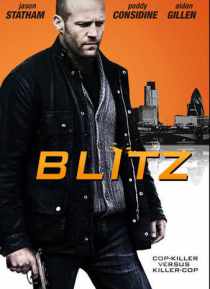 Tough, uncompromising and totally un-PC London cop Brant (Jason Statham) joins forces with openly gay policeman DC Porter Nash (Paddy Considine) to hunt down an at large serial cop killer (Aiden Gillen). A fast-paced thriller set in contemporary London BLITZ reflects the challenges faced by a group of police officers working in a modern, multi-cultural society. A raw, gritty tale of moral ambiguit… y, outsiders and the sacrifices the police make to keep crime off British streets.